Black and white image of a group of students gathered outside their school. The younger students sit on a bench while the older children stand behind them. Buxton was named for one of the original European settlers in the area. 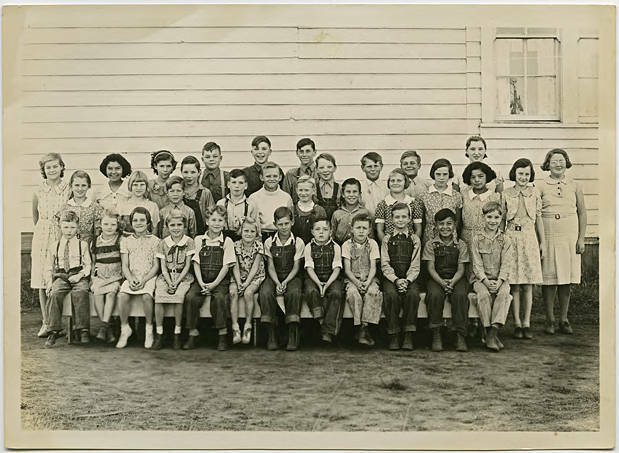 In 1937, the school registered 66 students, and Ruth Ginther was listed as the teacher.